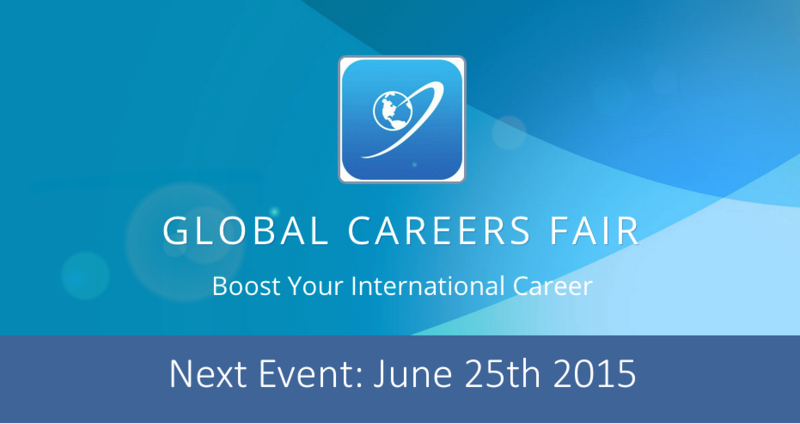 The Global Careers Fair is once again returning on the 25th June 2015 – giving you the chance to speak with a wide range of recruiters from top international public sector organisations around the world. As always, the Global Careers Fair is completely free to attend. The Global Careers Fair is an online virtual event, which means that there’s no need for your to travel! You can access the event from your own location. Just simply have a computer, mobile or tablet device at hand. Remember, the Global Careers Fair takes place throughout the day, meaning you have 12 hours to access the Fair and speak with recruiters. Speak with top international recruiters who will be seeking candidates from around the world.